Sitting in traffic after the Rolling Stones concert was about as pleasant for me as eating a bowl of bird soup – it’s a traditional Vietnamese dish that my mom makes. I never could QUITE get over the head, eyes, and beak floating in the broth. When the traffic broke up at the concert and finally started to move – it was like I won the lottery with a winning Powerball ticket. You’d think *I* did something to make the traffic move – that’s how excited I was. Obviously, that wasn’t the case… it was the police officer waving his brightly gloved hands and an orange-ended flashlight that finally got the cars moving out of the parking lot and onto the street. Because things just don’t happen all by themselves. It didn’t matter how much I WANTED the traffic to move after that concert. It didn’t matter how much I WISHED it would move. What mattered was the guy waving the orange flashlight because he was MAKING the traffic move. So what does this have to do with online marketing and building your email list? A while back I decided I needed to get more subscribers onto my list. My website(s) were getting plenty of traffic, but my opt-in rate was horrific – about ½ a percent on average. So, I knew I had to do something different to get a higher percentage of my visitors onto my email list. That’s because in every business email is a MAJOR leverage point. The more qualified subscribers you have, the more money you can make from your list. Using a traditional “blog sidebar opt-in”, this form was converting at .2%, not 2%… point… two… percent. (Actually, the real number is .16938%). Over 100,000 visitors to my website saw this particular opt-in form and only 170 people opted-in. I know that there are a lot of rumors floating around these days that “email is dead” or that “email just doesn’t work like it used to”, but that is a bunch of rubbish. Selling through email STILL has the highest ROI of nearly any business activity you can do – with DMA magazine showing that for every $1 spent on email marketing there is a $44 return. I also love email marketing because it’s something I am in complete control of – once I have a list of people there is no waiting for months on end for Google to send me traffic and I don’t have to buy traffic to send an email. I just type out and format my email in an email service provider like AWeber and hit send. But the most important thing to me is that email – unlike most other mediums – is a place where I can develop trust with my prospects and get them to think of me as an important trusted advisor – which means my prospects then take me much more seriously and are more likely to buy when I recommend something of value to them. My goal is always to have my business at a point where all my base expenses (including my salary) are covered by email marketing alone. Because this means all other income is icing on the cake. And I really like the icing – I think everyone does! But to get to that point of having extra and to grow the extra, I need subscribers. People who are willing to give me their email address in exchange for the expertise I can offer. And I’m not the only one – according to the DMA report, 90% of business owners see email as important or very important for achieving business goals. 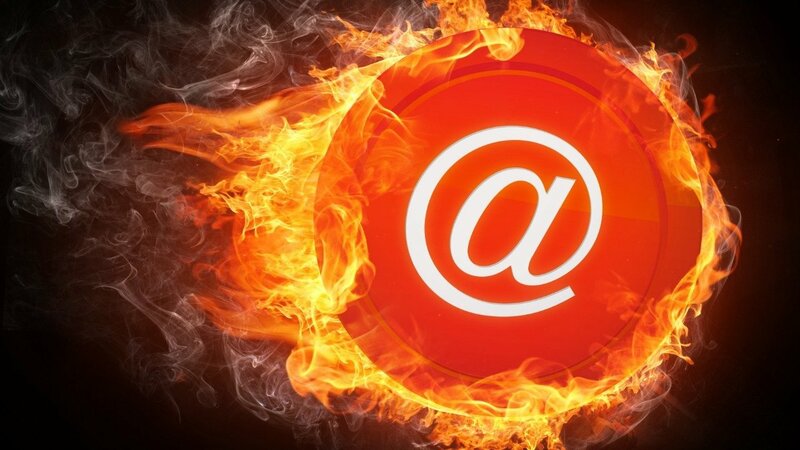 Even though the future of email looks great, there are a few problems. There are a lot of “traditional” ways to get email addresses – unfortunately, many of them don’t work well anymore. Do you remember that ½ percent number from above? That’s the average opt-in rate I was getting this very site before I started changing things up. I was using old-fashioned opt-in boxes in the righthand sidebar. In this particular case I was actually using a “two-step” opt-in process but still had dismal results. People seemed to have “opt-in box blindness” and I’m starting to see decreasing results with two-step opt-in processes. 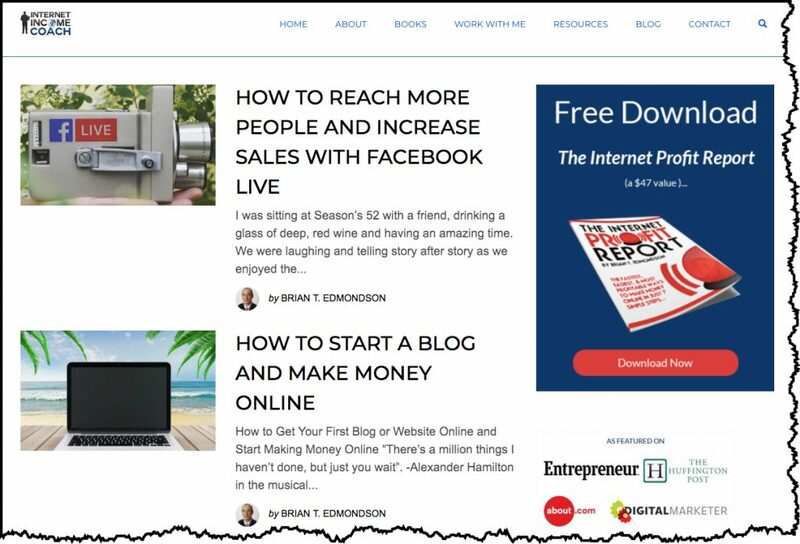 That’s what happens when your opt-ins look the same as everyone else’s – or even look like they always have on YOUR site. People’s brains just skip right over them as if they didn’t even exist. And that’s a problem. Because it means diminishing returns and having to work much harder JUST TO STAY AFLOAT. But… there is new technology that is completely game-changing and can (if you use it right) get your email opt-in rates that rival the good old days. At least that’s what happened for me. When I really started digging into what worked and what didn’t as far as getting people to opt-in to my list, what I found was that attention was THE MOST IMPORTANT factor. With all the distractions of multiple devices (laptops, phones, tablets & TVs) and the ability to have multiple pages open on most devices whatever software I was going to use to get people to opt-in to my email list was going to have to be attention-getting. I also knew from my research and from 10+ years experience making my money through online activities that the opt-in form had to flow within the site and not seem spammy or jarring to people. That’s a tough combination to get. And I looked at several software suites with no luck. They were all either really pricey with high monthly fees or they were extremely complex and difficult to use (or both!). After looking around for a while and griping a bit, my friend Heather H. (she’s a very successful marketer who likes to keep a low profile) told me about this software called ConvertBox that looked like it might have everything I was looking for – the ability to look great on my site and be a smooth experience for people as well as a novel approach that would get people’s attention. 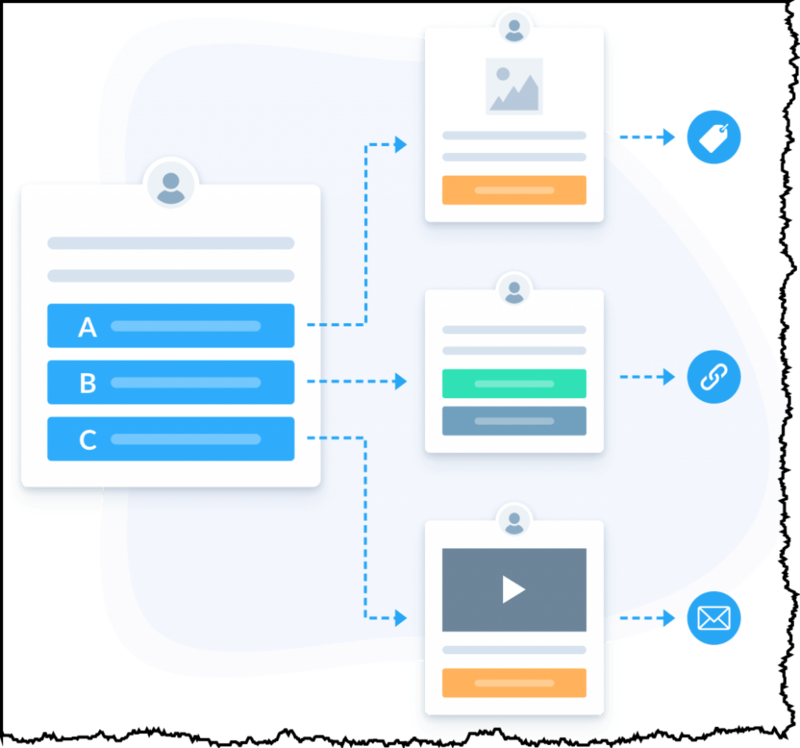 ConvertBox has several different ways to present an opt-in form and some incredibly innovative technology, which is completely game-changing for the way that businesses get opt-ins. But first, before we get into that, I want to show you the simple change I made on my site to get an increase of over 10x the opt-in rate that I had before. As you can see, my opt-in offer (the one that was converting at 1/2 percent) is exactly the same. The only difference is I’m using the ConvertBox technology to present the offer. Let’s take a look at the elements that make this opt-in box stand out from the other options on the market today. 1. Picture – This is a small detail, but important. People do business with people they TRUST. And a photo gives people confidence. It also makes every email you send seem more personal because they “know” what you look like. Having a picture and putting a real face in front of the offer is a small detail that makes a big difference. 2. Headline – This headline shows people what the big benefit is to them. It also interests them enough to read more. The headline is one of the most important aspects of your free offer. Take your time – come up with 20 or 30 possibilities and then split test the best 3 or 4 (which is easy to do with ConvertBox). 3. Brief Sales Copy – This should give the expand on the headline and provide additional benefits to the prospect. I’m also a big advocate of using “conversational copy” as you can see in this example. 4. “Hero” Shot – This is a visual representation of what they are getting when they opt-in. There are lots of people on Fiverr.com who will create an image like this for you. 5. Email form and CTA – Notice that on this form, there is a single box to fill out. Just the email. The more information you ask for, the lower your opt-in rate will become. I’m not opposed to asking for their first name as well if you’re into using personalization on your emails, but for an initial lead capture that’s the most information I would ask for. Also, note that rather than using “Subscribe” I use a call-to-action that’s more active. The elements of this form all work together to create a higher opt-in rate and moved my opt-in rate from an average of .5% to 9.65%! That’s a 1,830% increase which is absolutely amazing. To make it more tangible, remember those 100,363 visitors who converted at .2%? All things equal, if they had seen this ConvertBox instead, I would have captured 9,685 subscribers… not 170! But there is one more thing that makes this opt-in form work so well, and you can’t see it here, because this is a static image. This box slides in from the right of the screen a few seconds (you get to determine the timeframe) after you land on the page. This makes it “feel” like the popular chat apps that are on the market today and so people are much more likely to take a look at it. Also, the human brain is primed to look at movement, so it captures more attention than most static opt-ins can. I don’t think it’s one particular element that increased my opt-in rates from .5% to 9.65%, but it’s all the elements working together to make it happen. ConvertBox also has the benefit of being super easy to set up. Another reason I’m a big fan of ConvertBox, and I think this is important for a lot of people, is how extremely easy it is to use ConvertBox. Anytime I see any of these new bright shiny objects I get really excited to try them out, but once I purchase the product and get into the actual technology, I just want to bang my head against the wall in frustration and usually never end up implementing the new strategy or have to pay a lot of money to have it outsourced. One of the things I was completely blown away by when I went to use ConvertBox for the first time is how easy it is to set up. ConvertBox is EASY to use. Almost ridiculously so. I had my first ConvertBox installed on my site in about 30 minutes flat! That’s because the interface is easy to use AND there is great documentation that walks you through each and every step – with nothing left to chance. Later on, when I was playing around with the more advanced options in ConvertBox I had a quick question and the support team at ConvertBox got back to me very quickly… there’s a lot to be said about good customer support when it comes to online software. So far, I’m thrilled with the results I’m getting, and I’m just scratching the surface with it. 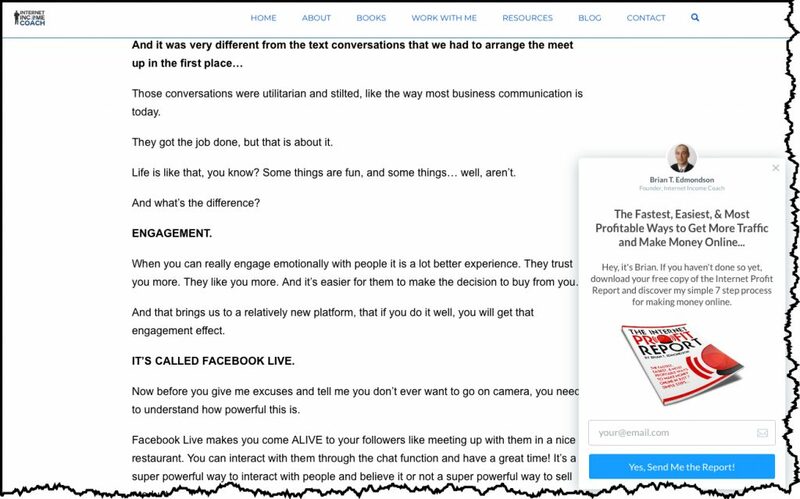 I’m making plans for what to do with it next – I plan on implementing it across all of my websites and exploring their advanced segmentation options – this thing is powerful! Here’s a quick example of how you can use ConvertBox to segment your audience. It’s easier to talk to your prospects when you know EXACTLY what they want. What if your opt-in form could give your prospect two or three options and then take them to a DIFFERENT offer or email list depending on the button they press? Example: you may want to segment your audience based on men/women, beginner/experienced, etc. Title: What do you want to do next? Can you see the power of this feature alone? By giving people a choice of desirable options – you can segment them into buckets of who is ready to take action now and who wants to get more information. That’s some next level stuff right there and it’s only really limited by your imagination. And boy can I think of some uses for this! You’re probably already getting some ideas on how you can apply this into your own business. The last thing that I wanted to mention is that ConvertBox has one more serious advantage (at least in my book) over other platforms that are on the market today is that there are no monthly or recurring fees (at the time of this writing). Like most people, I hate getting dinged every month on my credit card, and if I can make a one-time investment for lifetime access to an awesome service that I’ll use for years to come, then I’m all in. I know eventually ConvertBox will move to a monthly pricing structure of around $49 to $99 a month but right now (at the time of this writing) they are offering Lifetime access to their platform for a one-time investment with no monthly fees ever. Actually, ConvertBox currently isn’t available to the public. Dean Saunders, the creator and founder of ConvertBox, has made the platform only available to select people to test the platform before doing a major public launch. As one of ConvertBox’s early users, I am allowed to share private access and the special lifetime offer with my followers. You can learn more about ConvertBox and get access to the special lifetime offer here. I’m thrilled with the increase in subscribers I’ve seen since I started using ConvertBox. 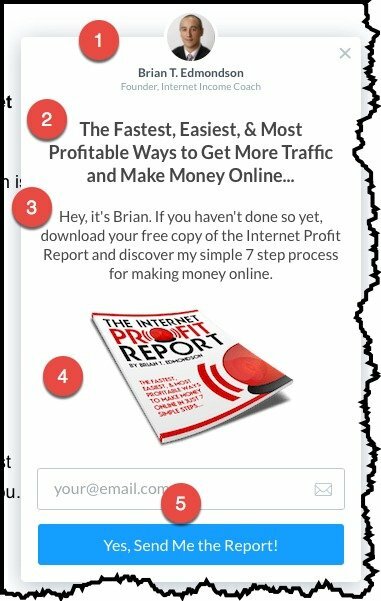 It means that I can build my list much faster with the same amount of traffic. And using the advanced segmentation options I’ll be able to further segment my audience and deliver more relevant emails resulting in better engagement and increased profits. I’m really happy that my friend Heather shared this new tool and the special offer with me and hope that you’ll take advantage of the special offer, get great results, and come back and thank me for sharing this powerful tool with you. Even though ConvertBox stands on its own as an amazing software tool and the lifetime offer is a steal, if you do decide to invest in ConvertBox with my referral link I’d like to extend a special offer that will help you get better results and more value. ConvertBox Bonus #1: When I was implementing ConvertBox on my own website I noticed one small quirk that could have actually backfired and prevented the slide-in box from working so well. I imagine the way most people who use ConvertBox “out of the box” will inadvertently make this mistake that can completely crush their conversions and opt-in rates. 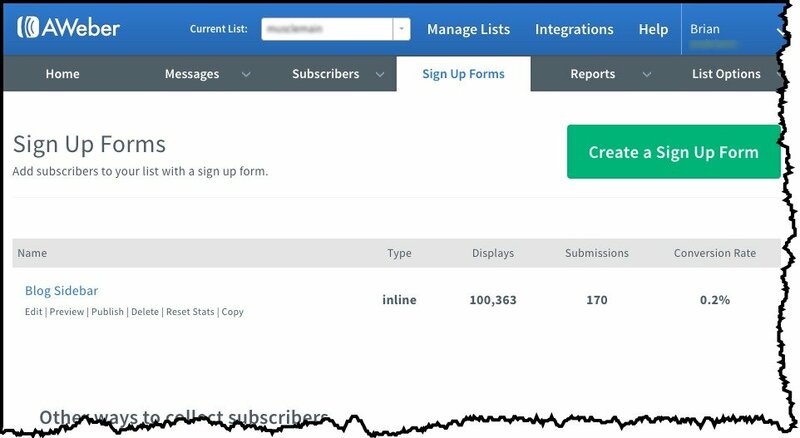 Luckily there is a really easy fix for this that I identified to make sure you’ll be maximizing the number of opt-ins you get when using ConvertBox. I’ll show you exactly what this quirk is and how you can easily fix it. I’ll also keep you updated with all of my personal tests with ConvertBox that are working for me. ConvertBox Bonus #2: I’ve found with my coaching clients that the biggest challenge they have once they start building their list is they don’t know what to send to their list, how often to send, and what to say. If you pick up ConvertBox through my link I’ll give you access to my special Email List Profits report that shows you exactly how I use email marketing in my own business to 10X my results with email marketing (without being spammy or annoying). This normally sells for $97 but is my gift to you. You can learn more about ConvertBox here, get access to the lifetime offer, and my exclusive bonuses right here. You’ve heard my story, I’m looking forward to hearing what ConvertBox does for your business!